Today we’re looking at something truly special: A groundbreaking movement in a limited-edition watch that retailed for well over a quarter-million dollars. But there’s another story here, too: The grey market for expensive watches that are a bit past their prime, and the steep discounts that follow. 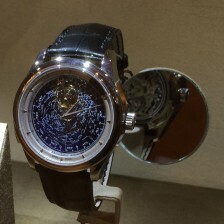 The result is a $150k discount on a basically-new piece of haute horology.